We deals principle in small oil extracting and refining plant for either small or large capacity according to customers' need. 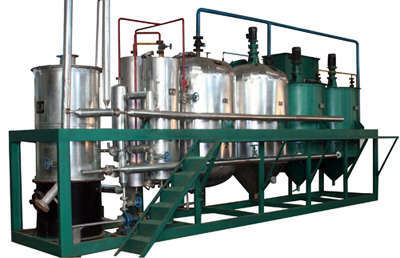 Our small oil extracting and refining plant can process a great number of plant seeds in to refined oil, for example, it can help process soybean oil, mustard seed oil, cottonseed oil, sunflower seed oil, peanut oil, rice bran oil, safflower seed oil, corn germ oil, camellia seed oil and so on. The small oil extracting and refining plant is mechanically driven. 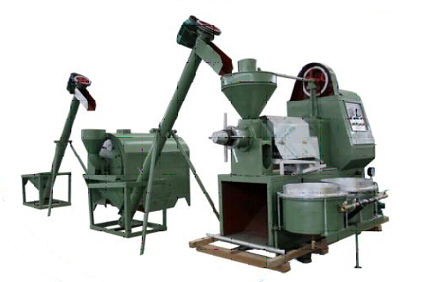 It is easy to connect each piece of small pressing equipment to process the oil seeds to obtain a high output of oil. Single machines can be linked to create a semi-continuous production line for greater efficiency. Our small scale oil refining line / plant are great choice for small capacity oil refinery. The small oil refinery production plant can remove phospholipids, FFA, pigment, gums, waxes, off-flavor and other impurities in the oil. We are your trustable manufacturer and supplier for small oil extracting and refining plant. We sale quality small oil extraction plant as well as refining plant, we offer the greatest service and most competitive price! Email us today to get more info, we are always at your service!